Recently I’ve been looking at places where the MLL may look in the future. I’ve already taken a good look at Florida and Atlanta, but today I’m moving out west. The league has made it clear that they hoped to once again try westward expansion. In 2006 the league added the Los Angeles Riptide and the San Francisco Dragons but both teams failed, leaving the Denver Outlaws as the only western team to survive. The MLL knows that the Outlaws can’t keep up ridiculous travel expenses forever and hope to once again try to expand out west. One of the cities that is usually discussed is Seattle, a city that does have a growing lacrosse interest. It is near enough to British Columbia, which has a strong lacrosse background as well. It is an area that does make sense if you really desire to expand your MLL footprint, but of course there are a few setbacks that you have to keep in mind. One reason why many would question the success of another lacrosse team in the state of Washington is because of the team that is already there. The Washington Stealth have been playing in Everett for three years now, in two of which they played in the Champions Cup. However that success on the floor has not lead to success in the stands. The Stealth have been at the bottom of the league in attendance almost their entire existence. Many say that is due to the fact that Everett isn’t that close to Seattle and is difficult to get to. Others say it is due to poor marketing. Whatever the case, it could be a factor that would scare off the MLL’s interest. Another setback would be that it is obviously far from the other teams, meaning you would need to add a few other western teams as well. If Seattle came into the league today, the closest team to them would be the Outlaws. That’s still about half the country away. Seattle would need to come into the league with at least one other western member, maybe a place like Portland or California. Until a western group of teams is established it will be a costlyÂ endeavor. When you’re looking at venues there are a few to choose from. On the small side is the Starfire Sports Complex in Tukwila, Washington. Tukwila is very close to the city, actually bordering city limits. The complex is a tad too small in my eyes though, only seating about 4,500 in its main stadium. It does have nice facilities including multiple fields and a training facility. You can sacrifice those facilities for a much bigger venue if you go to the Memorial Stadium, which seats 13,000 people. However its facilities aren’t the best and it is getting up there in age. It has a good location on the waterfront and is surrounded by attractions. Then you have Qwest Field and Husky Stadium which are probably much too big. Its not as easy of a fit venue-wise as Atlanta was. 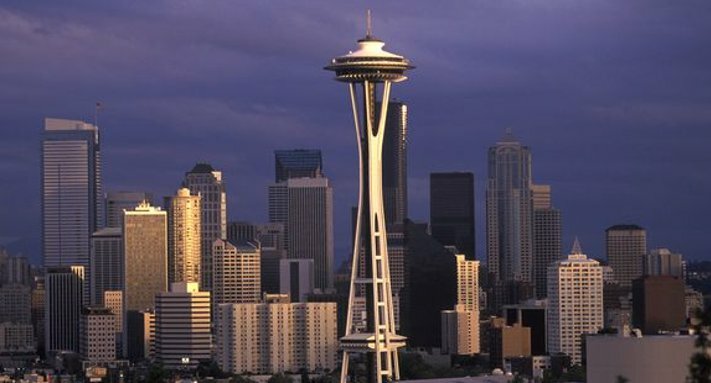 Seattle is an interesting market that will take some serious research for the MLL. Do you think Seattle is a good idea for the league, and likely to happen in the coming years? Time will tell, but for now the state of Washington will have to do with only one professional lacrosse team.